Kellogg Community College will celebrate the awarding of 1,147 degrees and certificates at the College’s annual commencement ceremony this month. 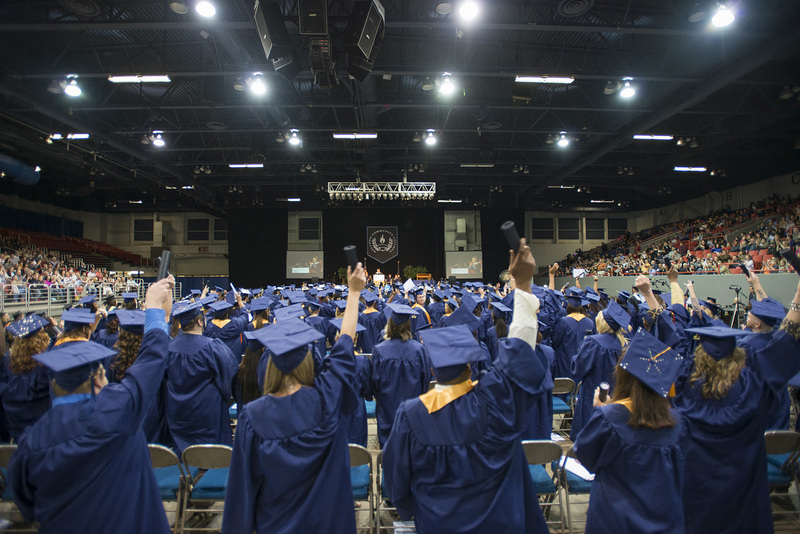 The commencement program will begin at 7 p.m. Thursday, May 11, at Kellogg Arena, 36 W. Hamblin Ave., Battle Creek, and will include addresses from KCC staff and trustees as well as remarks from 2017 KCC graduate Emily Brenner and KCC President Mark O’Connell. The commencement ceremony, in which approximately 369 graduates are expected to participate, is open to graduates and their guests; no tickets are needed. Arena doors will open to guests at 6 p.m.